I read your article. I liked it. But here’s the thing—why should I trust what you’re saying? Why should I follow your advice? I don’t even know you! This is a big challenge that majority of (non-authority) bloggers often face— i.e. establishing trust and authenticity with the audience. And it’s a very serious challenge! Why should I trust what you're advising? If the advice you’re giving doesn’t exude an upright feel, nobody would ever want to return back to your blog. Good thing is that as big of a challenge this is, the solution is rather easy. You just have to tweak few things in how you write your blog posts and introduce minor changes in your write-ups. Tell your readers that you understand who they are, what problems they are facing and why they require solutions. You can instantly connect with your audience and form a relationship through this approach. For more on trust and empathy, read this post on Empathetic Perspective, a blog all about empathy. Tip: Do this right at the beginning of the post. You could easily glue to the readers. Take any authority blogger for example. You would see them throwing in facts and figures throughout the post. And there’s a good reason behind that. Just like wearing glasses make people look smarter, mentioning statistics in your post would make you look more informed and intelligent. And when you look informed and intelligent, people are more likely to trust you. Just like statistics mentioned above, using science-based facts have the same kind of effect. People would find you more trustworthy when they know whatever you’re saying is backed by science too. In fact, this is the same theory why “According to Science…” based headlines are so popular these days. Because people find such information more interesting and reliable. First, when you mention other people or brands in your article, it adds value to the content itself. And this revives the feeling among readers that you’re genuinely trying to help them. Second, you look in sync with the reality—in sync with what others in your industry are saying. And readers like this. Third, this paves way for networking opportunities. The person or brand that you mention, they might choose to share your content, and even provide you a backlink. Point to note now, you shouldn’t follow this technique unnecessarily. And you shouldn’t overdo it, or you will risk losing credibility. Science says, people who use ‘I’ a lot are less self-assured. Even when you’re trying to build your personal brand, you should keep the efforts at minimal at early stages. Don’t talk too much about yourself in the post. Don’t put forth too much of your personal opinions and judgments. Unless the whole post is based on you and what you think. Majority of readers want a solution that is result-oriented and data-backed—and not (your name)-approved. Of course, at times, you would be required to give your own advice drawn from personal experience. Even at times like these, you must look to not make the content ‘you-centric’. Whatever you’re advising, ensure you’re suggesting them to do something and not demanding. Yes, a personal talk without ‘I’ and ‘me’. It might sound a bit confusing but isn’t. You simply have to write like you’re talking to someone who’s sitting right in front of you. The tone of your article must be conversational. It must resonate your personality instead of feeling cold and stuffed with plain information. This would bring authenticity and exclusivity to your write-up even when you’re talking about the exact same thing that a hundred others are talking about. The readers would feel they are listening to a human and not a computer-like writer. These are words that straightaway kills the credibility of your post. Such words look fillers, redundant and, at times, obnoxious. Get rid of these words from your blogging vocabulary. Here’s an article by Jory MacKay on Crew about 5 words you should avoid and why. Instead, you must use powerful and industry-standard phrases (which are less pretentious and more understandable) that would make you look smart and knowledgeable. Here’s a nice post by Bushra on The Persuasion Revolution listing 380 emotional and persuasive words. Include at least one valuable perspective or idea on the topic that would bring uniqueness to your post. Something that would differentiate your article in the crowd—something that others aren’t talking about. This would not only help you stand-out the crowd but also bring more authority to your identity. Thankfully, this is easier than you think. And you can do this in many ways. For once, you can create your own unique graphs and infographics by crunching all the information you’ve got. Present contents in a crisp manner through rich graphics and your readers would easily find it attractive and memorable. Second, say there’s this study that claims 75 percent of website visitors don’t read online articles end-to-end. You can give this a new take. Like—‘3 out of 4 website visitors never read your full content’ or ‘only 1 in 4 website visitors read contents at full’. You’ve just got to be a bit creative. If someone is looking to resolve their problems, they want complete solutions. And nothing half-baked. When they start reading your article, they must feel empathized. And when they complete reading it, they must feel fully satisfied with their time-investment in your post. They must know exactly what to do next and what steps to take now. This way they will believe that you have provided them with something valuable and reliable. They would start trusting your brand name even more. 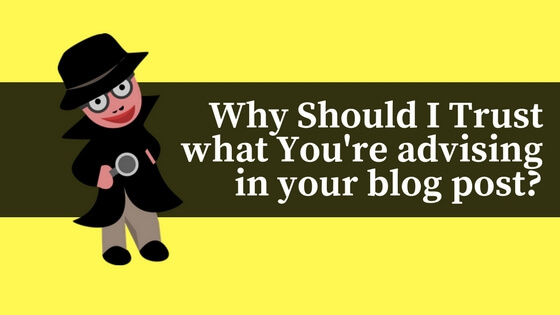 The retention rate would be high for your blog. So write long-form contents. Provide internal links to other posts to add value to the current one. And most importantly, include conclusion with Call-To-Action, telling the readers what to do next. Needless to say, the article shouldn’t be promotional. It shouldn’t be written to pitch your or anyone’s product or service. Such contents only work with your existing readers—and not the first-time readers. Avoid any favoritism. Even if you’re saying something good about some other brand, don’t demand readers to follow it; if you feel the need, just subtly suggest it. When writing reviews, present both pros and cons. Never take any bias stance. Strike a perfect balance. If the post is sponsored, disclose that to everyone. The sole purpose of the post should be to provide value to the readers, to help them. People won’t trust you if the article has some hidden agenda or financial benefit for you. You must show that you care more than just about money. While she’s talking about just the CIOs, it fits well with every blogger as well. Your readers should know who you are and that they can always reach out to you. This enables them to think you’re a real person and not some shady individual or brand trying to dupe them. Add author box at the end of the post. Include your social profiles there. 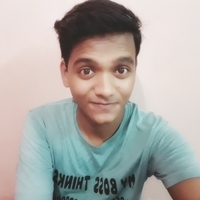 Request people to connect with you. Ask them to ask you questions if they have any problem or confusion regarding the topic. The encouragement of further communication, coming from a real individual who’s not trying to hide her/his real identity, will make them feel much at ease in trusting your contents. That’s about it! These are 11 magical ingredients and effective blog writing techniques that will make your articles look and feel trustworthy and authentic instantly. Of course, some of them might not be applicable to every kind of blogger or blogging topic. But wherever and whenever they fit, implement them. The result would soon be evident in your blog traffic, retention, and branding. The blog post you’re currently writing, include these ingredients in it. Or go back to your past posts and see if they have what it takes to win readers’ trust.